In our college the department of Hindi was established in the year 1979. Hindi is offered as one of the languages for B.A, B.Com, B.Sc, B.B.M, B.C.A courses. 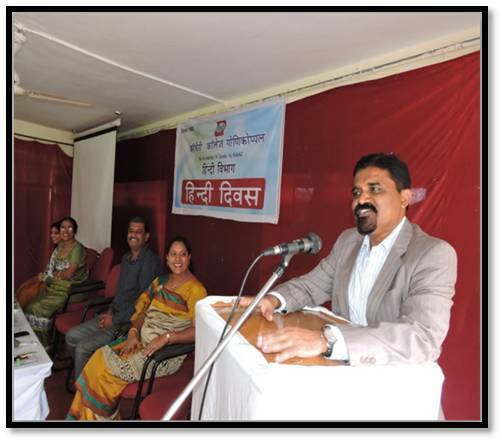 The department organizes various programmes like quiz, elocution, essay, competitions, seminars, tours, guest lectures, etc. The department has well equipped library and spacious classrooms. The subject Hindi usually gets 100% results. Every students will be asked to deliver lecture on the selected topics from the curriculum. The style and contents of presentation are monitored and appropriate guidelines are suggested for the improvement and better understanding of the subject. The students are assessed and graded on the basic of their performance through two internal assessment examinations, five tests for each class and assignments. A well-scrutinized teaching plan is prepared in the beginning of the academic year to ensure the completion of the syllabus in time and revision work is taken up. A feedback is taken from the students for the sake of quality improvement in teaching. 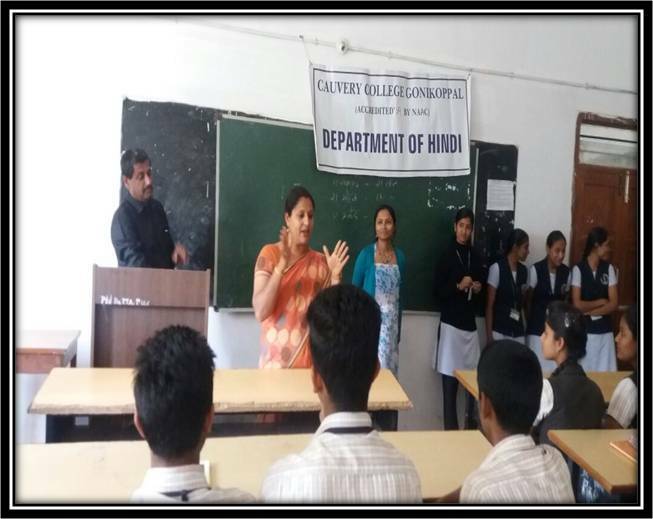 The department of Hindi started a short term course in Hindi for Non-Hindi speakers for the Teaching and administrative staff and also interested students. Class seminars was organized for students of BA,BCA,BBA ,BCOM and BSc. Student faculty from BCOM gave a presentation on the topic Silk worm to I BCOM students on 23-01-2018. 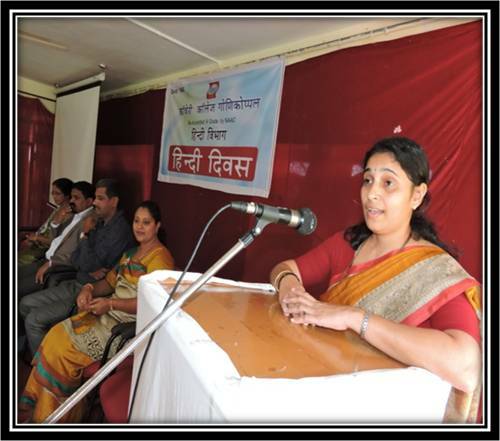 On behalf of hindi day celebration essay quiz and elocution competition was conducted. Hindi day was celebrated on September 19 . Guest –smt vinitha ,manager,canara bank,gonikoppal. 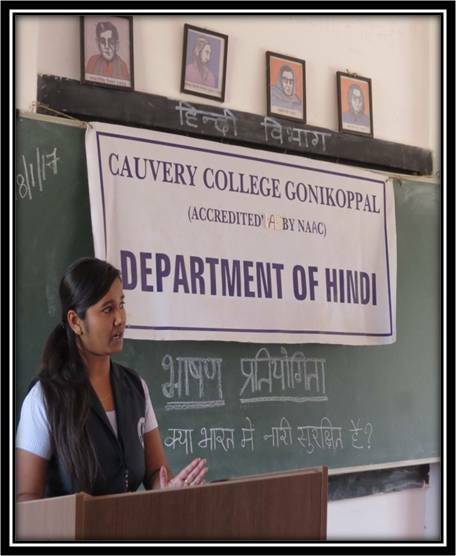 Guest lecture was organized to hindi students on 23 december 2017 .